Earlier an antivirus which i shared was iAntivirus for mac which was a good one for scanning for viruses and removing them out of your mac, and one more such similar antivirus which can help keep your mac clean from viruses, spyware etc. 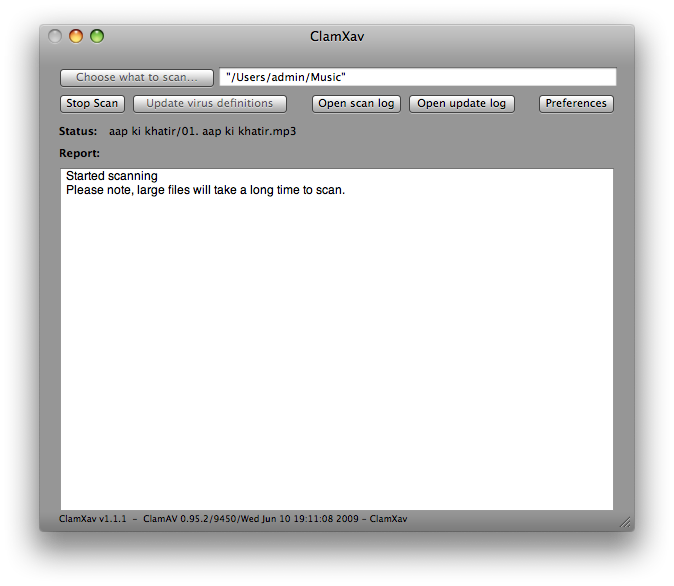 Its ClamXav antivirus for Mac OS X. Usually the viruses count for mac os is negligible but its not advised to take risk, so taking regular precautions and checking for viruses is needed. ClamXav antivirus is a simple but strong antivirus program that can check for viruses and help you remove them. 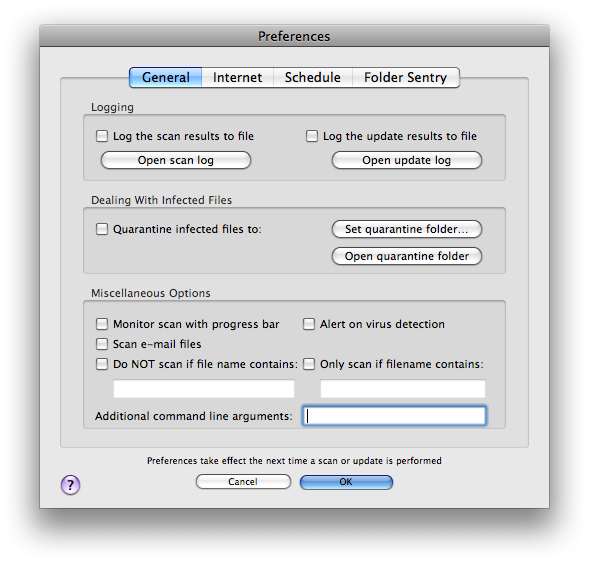 You can scan individual files, or entire folders and then set a quarantine folder for the infected files to be rested at. 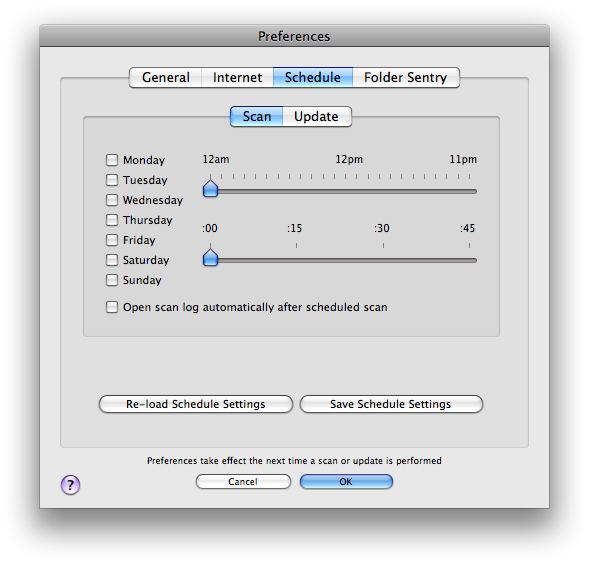 The progress of scan is shown, and in the progress box the infected files are displayed. And apart from just the manual work of virus checking, it also keeps a log of the scans performed, and monitor the scan with a progress bar. ClamXav antivirus scans can also be automated and scheduled for daily scans of the hard drive, which you can set and also after the scan ends it opens the log to show the details of the scan performed. You can download the ClamXav antivirus from here. All very tantalizing and tempting to fetch the free iAntiVirus but after 15 minutes of staring at every corner of the page I can’t find a download button. Why is it hidden like some treasure trove? I’ve tried Registering with the site but that didn’t find me a download so eventually I gave up and fetched it from somewhere else.